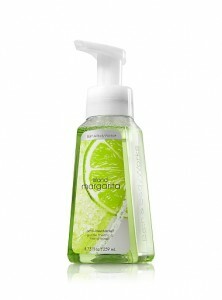 Use this new Bath & Body Works coupon to score a FREE Anti-Bacterial Hand Soap (up to $5) with any $10 purchase. This offer is also valid when shopping BathAndBodyWorks.com — just use code FREESOAP at checkout. Shop through Ebates for 3% cashback or ShopAtHome for 4% cashback. If it’s your first purchase through either site, you’ll also receive a $5 bonus by using these links! Previous Post: « Kmart Birthday Club: $5 Birthday Bucks + More! Thanks! We use these in our bathrooms, so this is a great deal. I love the apple. I keep it in the bathroom. My daughters baby shower for my in Aug. I picked up all the the shower gifts and prizes during there sale. So I have to say I will be going back to pick up sweet pea lotion. An getting a free item is sweet.